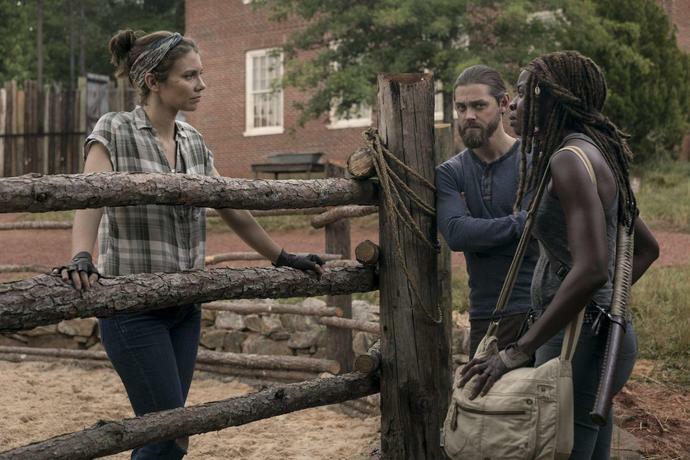 "The Walking Dead" posted a new series low in the Nielsen ratings with Sunday night's episode. The second episode of Season 9 of the AMC series drew a 2.0 rating in the key adults 18-49 demographic and 4.9 million viewers in the Live+Same Day numbers. The show's previous low in the key demo was a 2.4, which was set during Season 1. That is also very close to the show's current low in total viewers, which is 4.7 million, also set during Season 1. This week's episode was also down around 20% in both measures from last week's season premiere. For the night as a whole, "The Walking Dead" ranked behind only "Sunday Night Football" in the key demo. Its closest competition beyond that was the ALCS game between the Houston Astros and the Boston Red Sox, which drew a 1.5 rating on TBS. This marks the latest ratings blow to the show that reigned as TV's number one series in the key demo for multiple seasons. As Variety reported last week, the Season 9 premiere was the lowest-rated premiere in series history. It was down approximately 50% in the key demo and 47% in total viewers compared to the Season 8 opener. Season 8 fared only a little better, with the finale of that season posting the lowest finale ratings since Season 1.